Dr. Zheng Liu received his doctorate in engineering from Kyoto University (Kyoto, Japan) in 2000 and earned a second Ph.D. from the University of Ottawa in 2007. From 2000 to 2001, he was a research fellow with Nanyang Technological University (Singapore). He then joined the Institute for Aerospace Research (IAR), National Research Council (NRC) Canada (Ottawa, ON, Canada) as a governmental laboratory visiting fellow (nominated by NSERC). After being with IAR for five years, he transferred to the NRC Institute for Research in Construction, where he held a research officer position. From 2012 to 2015, Dr. Liu worked as a full professor for Toyota Technological Institute at Nagoya, Japan. In August 2015, Dr. Liu joined the University of British Columbia (Okanagan campus) at Kelowna, BC, Canada. His research interests include condition-based maintenance, condition assessment, nondestructive inspection & evaluation, prognostic health management (PHM), data/information fusion, computer/machine vision, pattern recognition, machine learning, and sensor/sensor network. Dr. Liu is a senior member of IEEE and member of SPIE. He is chairing the IEEE IMS TC-36 and serving as the VP publication of the IEEE Instrumentation and Measurement Society (2016-2017). He holds professional engineer licenses in both Ontario and British Columbia. 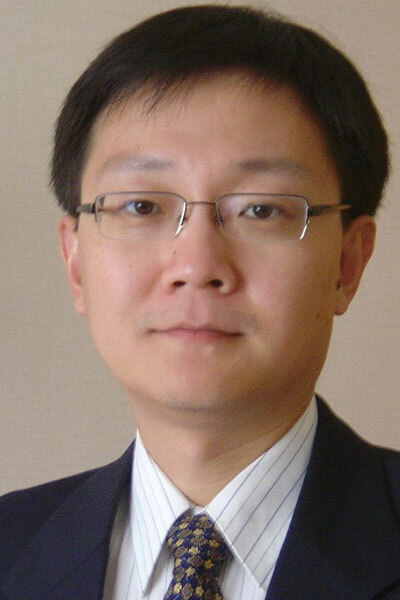 Dr. Liu also serves on the editorial boards for journal IEEE Transactions on Instrumentation and Measurement, Information Fusion (Elsevier), Machine Vision and Applications (Springer), and Intelligent Industrial Systems (Springer). Human have poor night vision compared to many animals, partly because human eyes lack tapetum lucidum. This biological deficiency may lead to several undesirable fatalities. Hence, context enhancement plays a critical role in many night vision applications. In the dark night situation, the visible camera doesnot function properly but the Infrared (IR) themal camera works well which can highlight the objects with emitted energy. Theoretically, the useful semantic information of an image to the human visual system (HVS) includes contour, texture and color. But the IR image only has the contour information. In this research project, we aims to develop a framework to translate the IR image at dark night to the colorful visible image with rich semantic information for enhanced environmental perception at night. Automated situation awareness in the complex and dynamic environments is a challenging task. The accurate perception of the target is critical for the successful completion of a mission. In this research project, the objective is to develop a deep learning multi-modal image fusion algorithm for enhanced situation awareness and toward the preservation of soldier safety in operations, the achievement of threat identification and possible avoidance, the minimization of collateral damages, and the achievement of improved speed, accuracy, confidence, assurance, and precision of impact as part of the operations decision-action cycle. Property assessment is the procedure of valuation of estates which is important in terms of daily life and urban planning. Current relevant methods are commonly based on pure house own attributes. However, the values of houses also depend on various factors of community, geography, and appearance. We aim to take advantage of deep learning approaches from RNN to CNN to incorporate such factors for property assessment. Navigation is one of the majority transportation in the world. However, the accurate destination prediction for on-the-way vessel is not available now. Through analysing the historical AIS records and geographical information, we proposed a machine learning based vessel destination prediction through comparing on-the-way trajectory with historical trajectories approach. Canadian municipalities have reported that 59% of the water systems needed repair and the status of 43% of these systems is unacceptable. Thus, it is important to have an integrated asset management system to optimize the rehabilitation process. The integrated infrastructure management consists of several components such as asset condition monitor and evaluation, pipe failure consequence, and risk analysis. The objective of our study is to provide an integrated decision-support framework for asset management by developing a general ensemble learning framework for pipe performance prediction and a weighted-score system for pipe risk analysis. Oil and gas pipelines are subject to catastrophic accidents or failures due to leakages and ruptures. Wall thickness loss due to corrosion is a significant reason for pipeline failure. Therefore, In-line inspection (ILI) is carried out periodically to detect and quantify the metal loss. Multiple sensors are often employed to perform the non-destructive in-line inspection. In this research project, we aim to fuse multiple ILI data, e.g. magnetic flux leakage (MFL) and axial flaw detection (AFD) data, to achieve improved pipeline integrity assessment. CCTV (closed-circuit television) inspection system is well adopted for water pipe inspection. Modern CCTV system is equipped with high-definition camera, laser profiler, and sonar sensor for a more comprehensive assessment of pipe condition. Automatic and quantitative interpretation of the inspection data still remains as a technical gap for current CCTV systems. As laser profiling is precise, it is possible to achieve an accurate measurement with the laser sensor. One practical need is to quantify the joint gap between pipe segments. The objective of this research project is to develop algorithms to extract projected laser profile on pipe inner surface from CCTV video sequences and measure the gap with required precision.